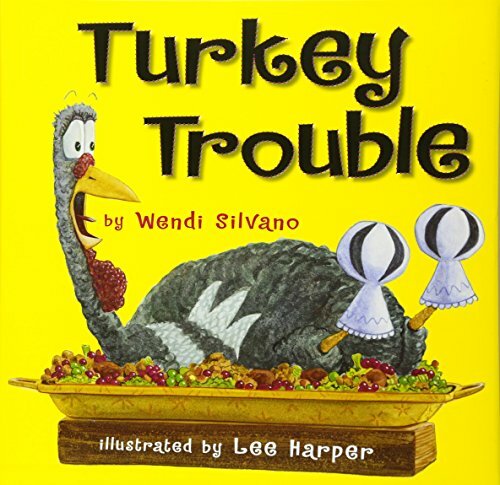 Inside: Retell Turkey Trouble with this fun preschool book activity. Have you read this hysterically clever tale?! Add it to your November reading list! with this Amazon affiliate link. Turkey Trouble is an adorable story about a turkey trying to hide from being eaten! In doing so, he disguises himself as other animals on the farm. It is such a great book to make a fun preschool book activity to retell the story! This month Lu from The Mamas Workshop and I were able to collaborate with TWO other creative bloggers for a preschool book activity. This means you have FOUR different ways you can incorporate a story retell with your preschooler using Turkey Trouble by Wendi Silvano. We LOVE book boxes, and Owl Babies makes another great book activity for November. You will love this collection of preschool book activities for story retell here! SETTING UP THIS PRESCHOOL BOOK ACTIVITY WAS SO MUCH FUN! Draw the 6 main disguises on large kraft paper. - If you look closely at the animals, you will see that this took just a couple minutes to do. Glue a couple feathers to the ball so it will represent the turkey. Read the book many times before playing. Simply roll the ball onto the activity mat. Act out the animal the ball lands on. My two year old was the most excited about this game! Check out these ideas from other bloggers that worked with us for November's Book Box Activity for preschoolers! They are some of my most favorite people to follow! Lu from The Mama Workshop created this adorable cardboard disguise! Ashley from Veggies and Virtue created this inviting Turkey Snack! Mandisa from Happy Toddler Playtime created Paper Roll Puppets! Want more FREE preschool activities? In your inbox every Monday and Wednesday at 7 am.